Another contest certificate in the postbox today. Was not aware they are now handing out the awards for winners per square. 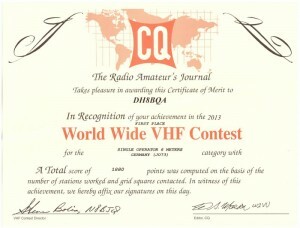 Didn’t do many QSOs in the CQ WW VHF 2013 as condx were rather poor. Besides this the contest is not well known in Europe so activity is usually rather sparse. You really need a good opening on 6 meters to have some fun. On 2 meters it’s even more difficult (participated on 2 m once in the past as a QRP hilltopper). 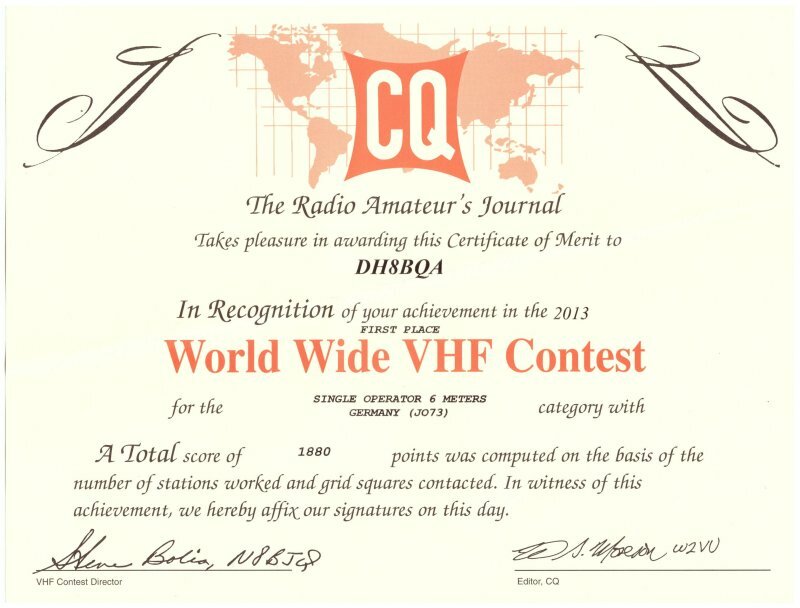 This entry was posted in Awards, Contesting, VHF. Bookmark the permalink.